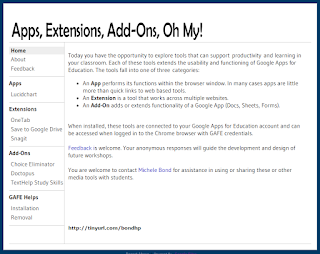 Earlier this week I had the opportunity to participate in the High Point Google Apps and BYOD Summit. Alice Keeler shared her passion for using technology transform the learning experience for our students, along with the tools she uses in her classroom. There were also presentations about 3D printers, Twitter for teachers, tech for specific content areas, and great tools for teaching.